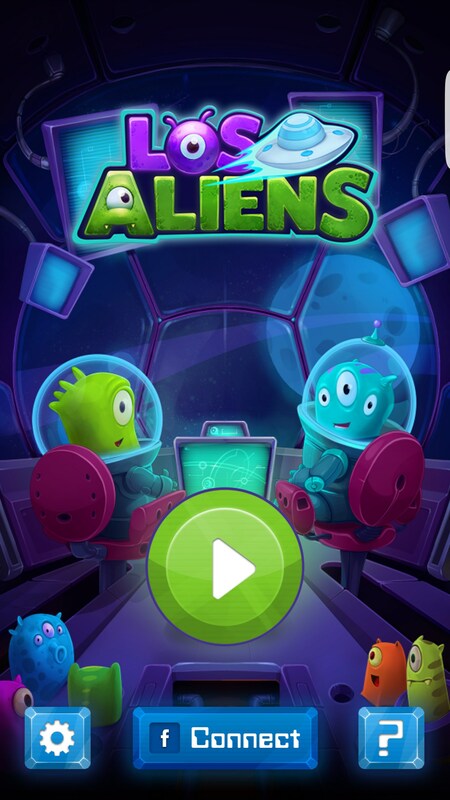 Los Aliens – Games for Android 2018 – Free download. 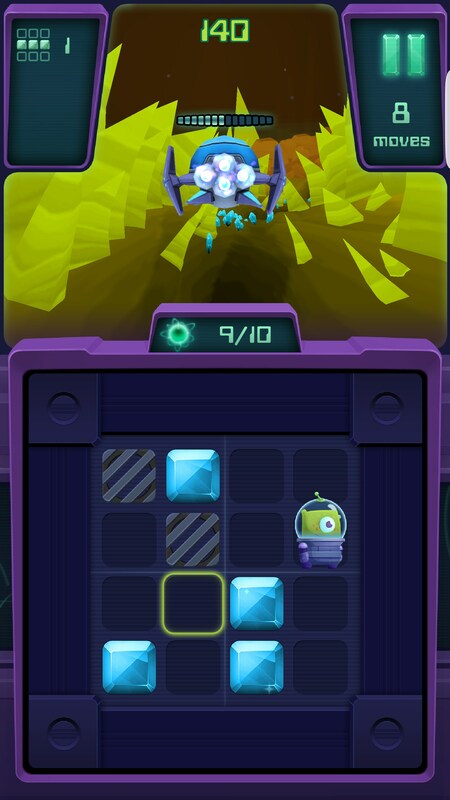 Los Aliens – A innovative and addictive puzzle game. 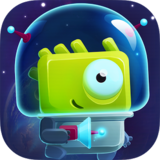 Los Aliens for Android is a game that has you exploring new worlds in an effort to find new life and new civilizations. 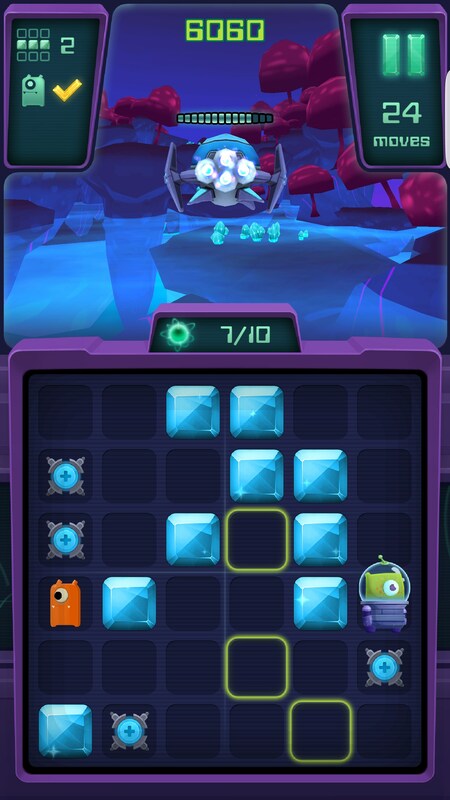 The game features 170 levels, 18 different pads and creatures, two different gameplay modes, 6 playable characters, and is one of the few matching games that I've walked away with a largely positive outlook on the game as a whole since it proves that the developers are out there trying to make some innovative games. So let's get to the bottom of why this game is cool. The first time I took a look at the game I thought this was just going to be another match three game with a small twist to it. Boy was I wrong. Yes, there are tiles, and yes, you do have to match things up, but it's in a totally unique way. 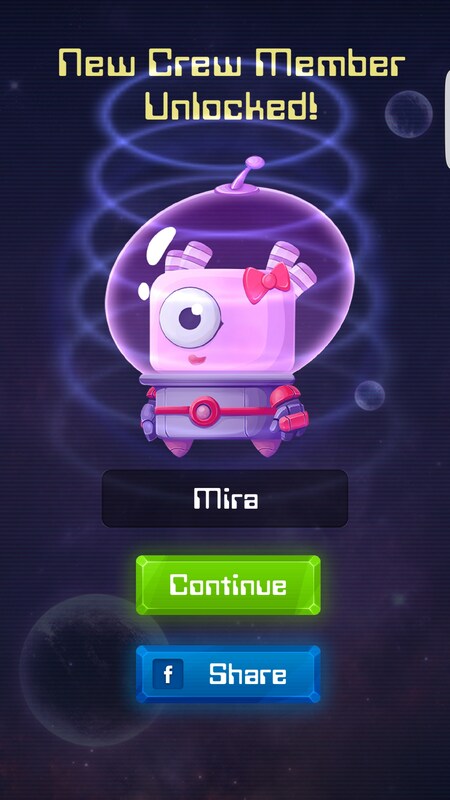 You play as a tiny alien named Goku (a Dragon Ball Z reference? Probably.) and Goku actually hangs out on the board. In fact, he's the guy you're going to be moving around. Think of him like a knight in Chess because he can only move in L shapes. 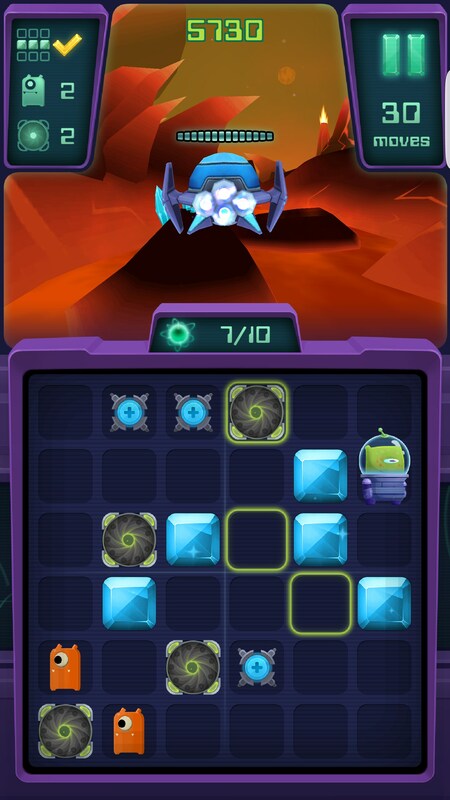 On the board are empty tiles and then there are tiles filled with Quark, which are these blue crystal looking things. 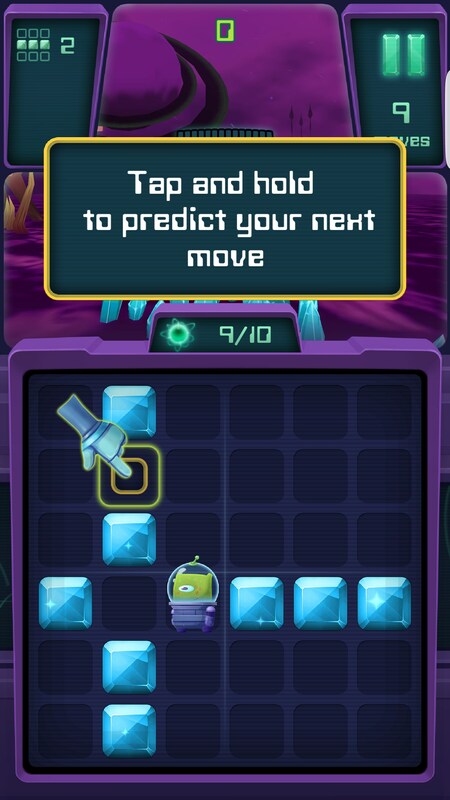 Every time Goku leaves a tile he leaves a Quark behind, and you'll need to totally fill a row or column with Quarks in order to beat the level. 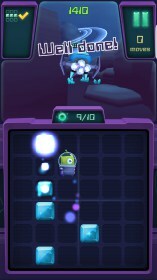 As you play through the game, you'll find tiles filled with all kinds of things that you'll end up needing to also collect. In other words, your objectives end up changing as the game progresses; this leads to a much more difficult game down the road. Goku is also just one character that you can play as but there are five others you'll unlock as you play the game. Each new character has new abilities they can use, and they have the ability to let you play the game for longer, which is one of my gripes... the game features an energy system that does nothing but hinder it. 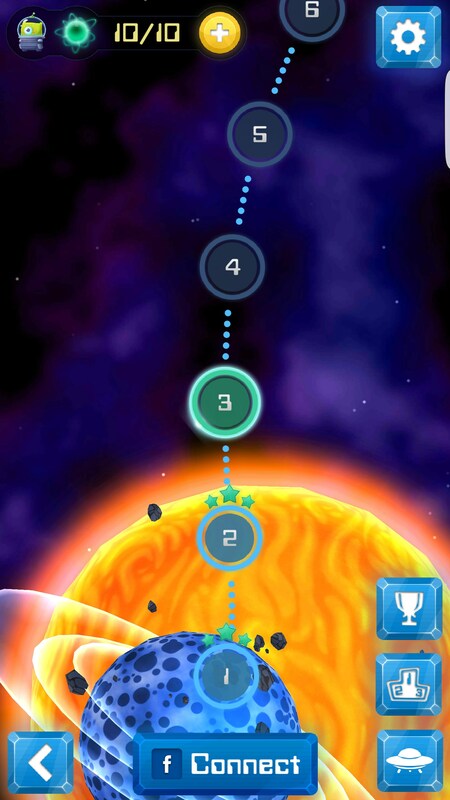 Fortunately, as long as you're winning, you literally can't run out of energy, but you never know when you'll find yourself on a losing streak. 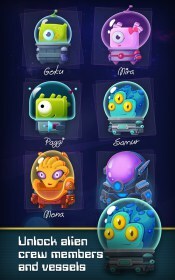 I had a blast playing Los Aliens. I feel safe saying the gameplay is truly unique and innovative. Replayability wasn't a problem since the game evolves as you play it, and the game doesn't look half bad either.